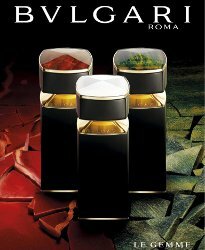 Bvlgari has expanded the Le Gemme Men luxury collection with three new fragrances: Falkar, Opalon and Yasep. The musk-based trilogy was developed by perfumer Jacques Cavallier. Falkar ~ "a deep and opulent woody black musk." Opalon ~ "a profusion of Neroli and a rich Ambergris dry down." Yasep ~ "an alluring red oriental musk." Bvlgari Falkar, Opalon and Yasep are exclusive to Dubai Duty Free for the months of February and March. They are sold in 100 ml Eau de Parfum.